The William P. and Bonnie V. Robinson Science Hall was dedicated on Homecoming weekend in October of 2011. This three story, 63,000 square foot state of the art facility cost Whitworth University $32,000,000 to build and contains top-of-the-line laboratories and instrumentation as well as an animal-research facility and a cadaver lab. It was built with the hopes of increasing the reputation of Whitworth as a serious institution for science, and to attract high-caliber students as well as reaching the increasingly urgent local, regional and national demands for graduates in the science and engineering field. All of the science departments leading up to the construction of Robinson had been housed in the Eric Johnston Science Center since its construction in 1967. In the five years preceding the construction of Robinson, Whitworth had hired seven new science professors and had seen a 50% increase in the number of students majoring in the sciences. Due to this significant increase, the Eric Johnston building was deemed inadequate for meeting the current and future needs of the institution. Robinson Science Hall has a LEED-Silver Certification which means that it was designed, constructed, and operates in a way that is green and uses minimal energy. It contains large skylights and allows natural light to illuminate the building for most of the day, reducing the use of electrical lighting. It also includes a rainwater collection for landscape irrigation, steam and geothermal heating, energy efficient air-handling and the use of locally produced building materials. 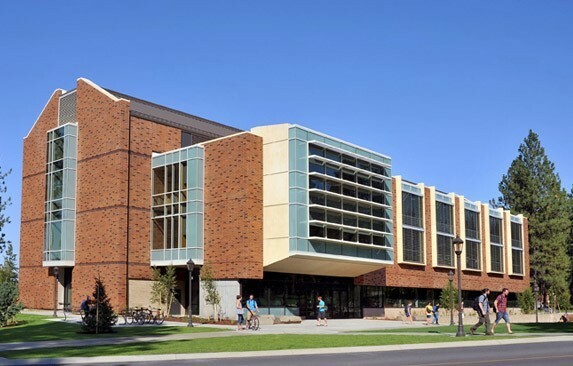 The building was named after the 17th president of Whitworth University William (Bill) Robinson, and his wife Bonnie. President Robinson served as the second longest president in Whitworth history from 1993-2010. The Board of Trustees at Whitworth thought it only appropriate for a building that would contribute to the mind and heart mission of Whitworth to be named after two people who did so much to uphold the mission during their years of service. At the time of the dedication, President Robinson, noted for his legendary self-deprecation, remarked that having a building named after him and Bonnie was “an immense and ironic honor” due to the fact that he got kicked out of biology class in high school for smarting off and got caught cheating in chemistry the same year. 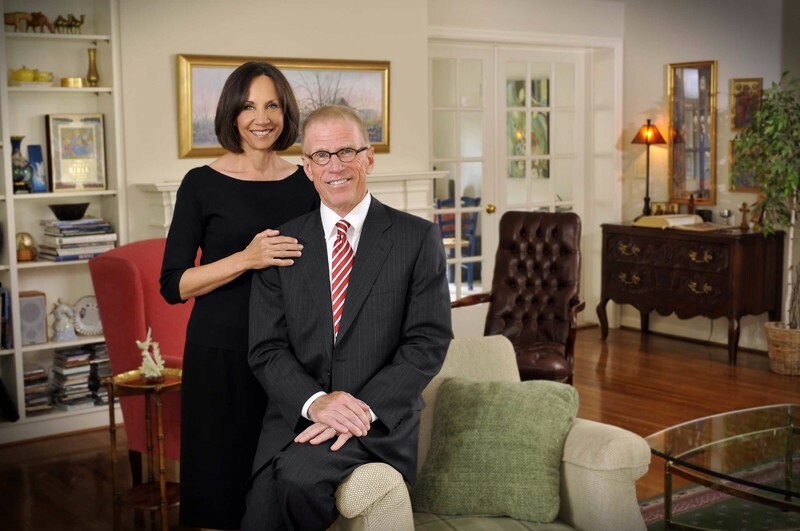 Bill and Bonnie frequently hosted students at their house for various events, and were known for their kind, and casual demeanor. Bill was known for his friendly spirit towards students and faculty alike. He was known across campus by the name “B-Rob” and as someone who seemed to know the name of every student, staff, and faculty member on campus. Although his reputation among students was often grounded in his self-effacing casual manner, as president he fought fiercely to protect the school's mission as well as improve the university in every way. Without question, Bill Robinson will be remembered as one of Whitworth's greatest presidents. Astrid E. Le Roy, “Robinson Science Building: The Science Building for the 21st century,” Spokane Historical, accessed April 20, 2019, https://spokanehistorical.org/items/show/772. Bair, Rachel. "Breaking Ground" The Whitworthian (Spokane, WA), November 2009. Jarvis, Jerod. "Donors to help finance center" The Whitworthian, (Spokane, WA), September 2008. 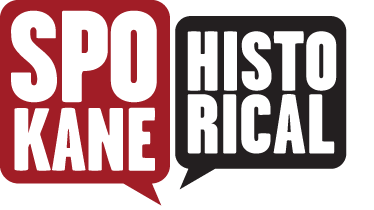 Montoya, Evanne. "Building named for Robinsons" The Whitworthian (Spokane, WA), April 2010. Proffit, Emily. Whitworth University News. "Whitworth to make ground-breaking on $32 million science building Nov 12" http://news.whitworth.edu/2009/11/whitworth-to-mark-ground-breaking-on-32.html. Wootton, Julie. 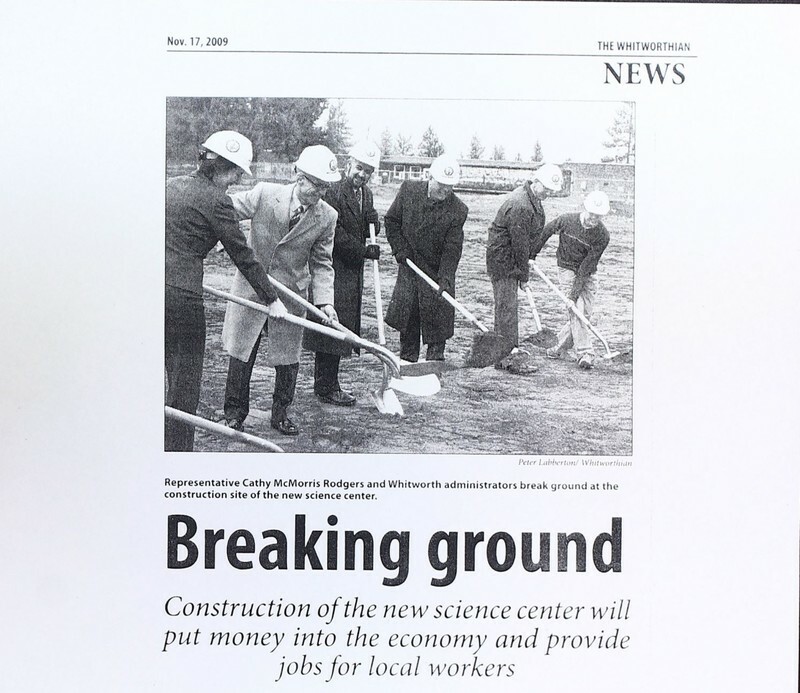 "Science center funding on top agenda" The Whitworthian (Spokane, WA), April 2008.